Applicable in production site, laboratory and workshop in factory. Easy operation menu and large LCD display with backlight. Advanced software for TR200 and TR220 is available. 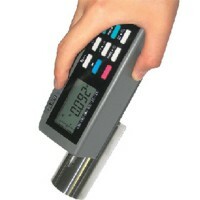 Lots of delicate optional accessories are supplied making user’s measurement more efficient and much easier.